What is medicine Allergy? is an overreaction that arises from the immune system against a type of drug used. This reaction arises because the immune system considers certain substances in the drug as substances that can harm the body. This condition is different from the side effects of drugs that are usually listed on the packaging, as well as drug poisoning due to overdose. Medicine Allergy reactions generally appear gradually as the immune system builds antibodies to fight the drug. This reaction may not appear directly when you first use the drug. In the first stage of use, the immune system will assess the drug as a harmful substance to the body and then develop antibodies slowly. In the next use, these antibodies will detect and attack the substance of the drug. This process can trigger symptoms of medicine allergy. Most drug allergies have mild symptoms and usually will subside within a few days after the drug is stopped. The following are some common symptoms of drug allergies that you need to look at. Rashes or bumps on the skin. Shortness of breath or shortness of breath. The eyes feel itchy or runny. However, a severe allergic reaction can also trigger anaphylaxis, an allergic reaction that causes widespread failure of the body's system. This condition is very serious and can be fatal so it requires emergency treatment. Be careful if you experience a drug allergic reaction. Immediately consult a doctor to find out the cause so that it can be avoided. 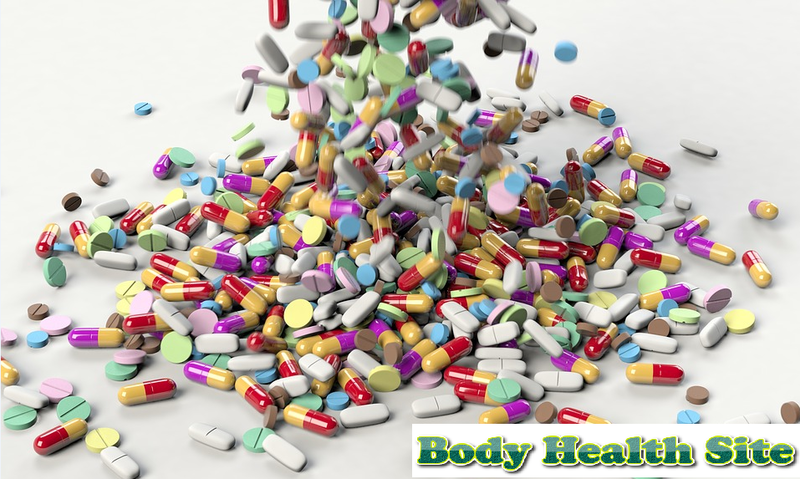 Increased exposure to certain drugs, for example, because of repeated, prolonged, or high-dose use. Heredity factor. The risk of someone experiencing a medicine allergy will increase if there are family members who have allergies to certain drugs. Ever experienced other allergic disorders, such as food allergies. Allergy to other drugs. For example, if you are allergic to penicillin, you will also experience an allergy to amoxicillin. Certain diseases can cause the body to be susceptible to drug allergic reactions, such as those with HIV. Skin test. Medications that are suspected of causing allergies will be applied to the skin by sticking or through a needle puncture. Positive results show red, itchy or bumpy skin. If that happens, someone almost certainly has an allergy to the drug. Blood test. This test is rarely used because the level of accuracy in detecting drug allergies is not high. But if you suspect there will be a severe reaction due to a skin test, the doctor will usually recommend a blood test. This test also serves to find out while removing the possibility of other conditions that have the potential to trigger symptoms. The main treatment for drug allergies is to overcome and relieve the symptoms experienced. This step can be done by stopping consuming or using drugs that cause allergies. Antihistamine administration may be recommended to inhibit the immune system reaction activated by the body during an allergic reaction. Meanwhile, corticosteroids can be used to treat inflammation due to more serious allergic reactions. For those who have experienced anaphylaxis or severe drug allergic reactions, doctors will usually prescribe epinephrine injections. For patients with a history of severe allergies, always provide epiphany, which is epinephrine in the form of single-use injections, just in case a similar reaction occurs. Patients also should undergo hospital treatment to be able to get respiratory assistance and stabilize blood pressure. Wear a bracelet or necklace marking allergies if possible. Tell your doctor or medical staff about a history of allergies to certain types of drugs before undergoing any medical treatment. 0 Response to "Drug Allergy | Medicine Allergy"